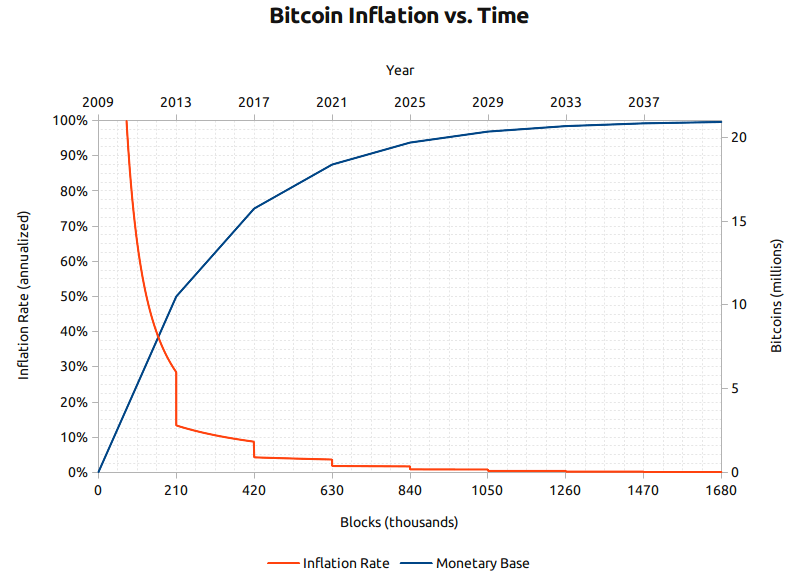 The graph shows the inflation rate dropping as the number of bitcoins in circulation approach the total number of bitcoin that can ever be discovered (i.e. all solutions to the underlying equation). But “zero inflation” is not the same thing as zero growth in the monetary supply. Rather, it is zero drop in purchasing power. Put another way, it is money in your pocket that does not weaken over time. 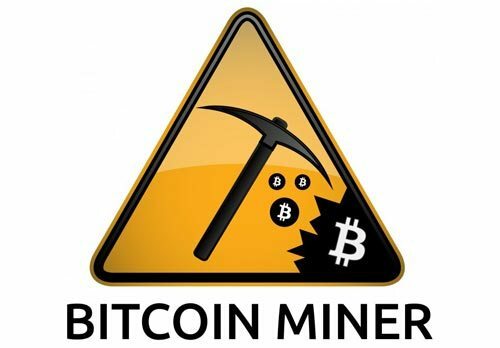 If and when Bitcoin is adopted by a growing number of individuals (not just as a speculative asset, but as a monetary instrument)—and especially as it is acquired without the intent of immediately converting to regional currencies, the bitcoin in your pocket or your cloud wallet appreciates in value. In fact, when you combine increasing adotion (demand) with decreasing “production” (supply), the will appreciate rather dramatically. In my book, if adoption continues, Bitcoin is a starkly deflationary currency. Let’s say that a new one will set you back 100 bitcoins. Suppose that you have 100 bitcoin printed on a piece of paper and stored in your wish box. Consider that Lexus SUV that you desire. It costs 100 bitcoin today, but you would rather not spend all of your coins to buy it. What should you do? Answer: Wait a year. It will cost 70 bitcoin. Still too high? Wait 5 years. A current model in the same condition will cost only 35 bitcoin. It’s like getting interest without the bank and without the investment risk. That’s because during the same 5 year period, a growing number of consumers and businesses are adopting Bitcoin for a growing fraction of their transactions. Even if no one saves coins (like you are doing), the economy will require a 3 trillion dollar float just to lubricate the exchange and settlements of current transactions. Some economists may point to this deflationary reality as the inherent problem with Bitcoin. But I argue that this position is a by product of history and conditioning. For more than a century, we have been led to believe that inflation is inevitable; That inflation is necessary to spur investment; and that inflation creates a legitimate market for loans that facilitate entrepreneurship and growth. We have also been led to believe that deflation leads to recession. I believe that that such “conventional wisdom” may not be wise at all. Inflation is neither inevitable, nor even healthy for a thriving economy. In fact, a deflationary society can discourage spending while dramatically promoting innovation. Noel, your article has caused the mental wheels to start spinning. 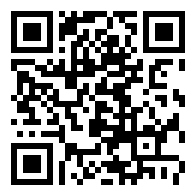 I plan will follow up on these thoughts in my own Blog, AWildDuck.com (search on ‘Bitcoin’). In light of all of the “The blockchain is the greatest thing ever, but who cares about bitcoin” post that I keep seeing, I wanted to reblog this piece that should help clarify the difference between bitcoin and the blockchain.